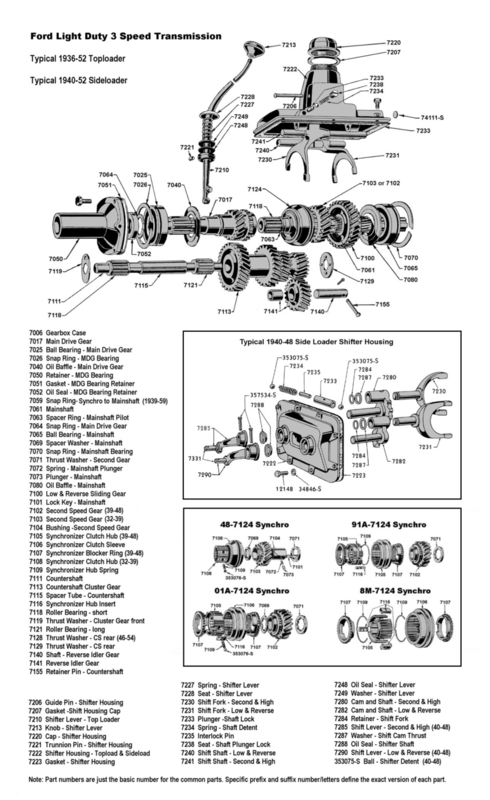 Click on a link below to download the picture. 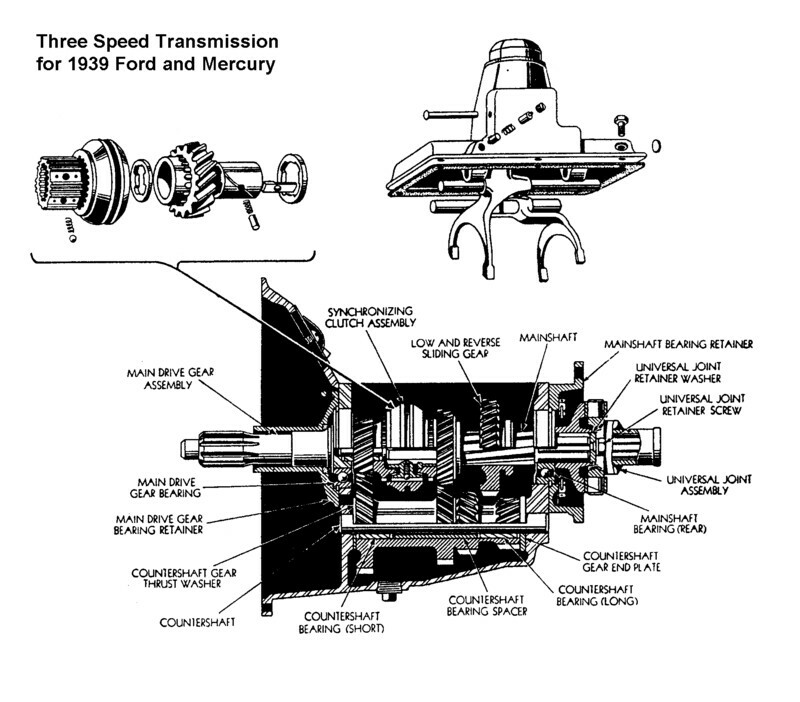 Please note that Ford's illustrations often were used to cover a range of transmissions. 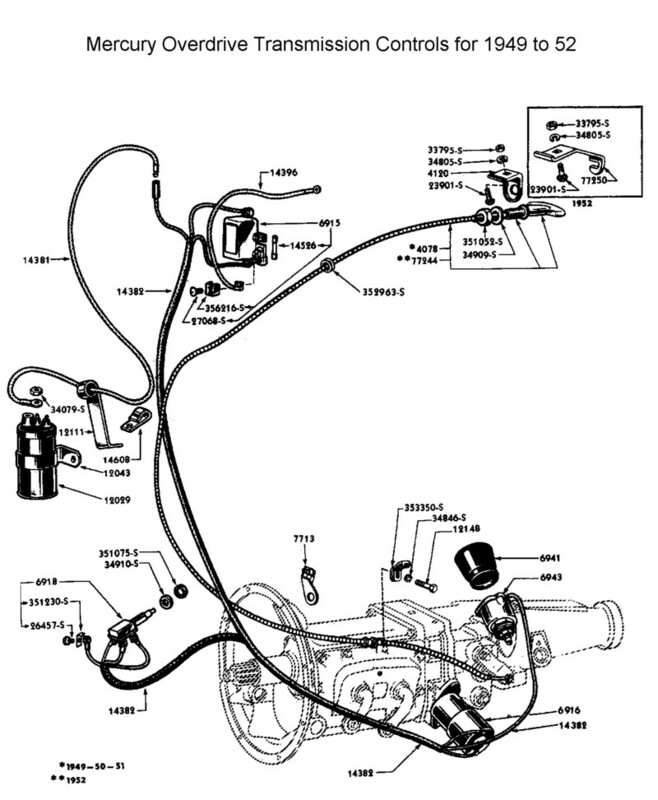 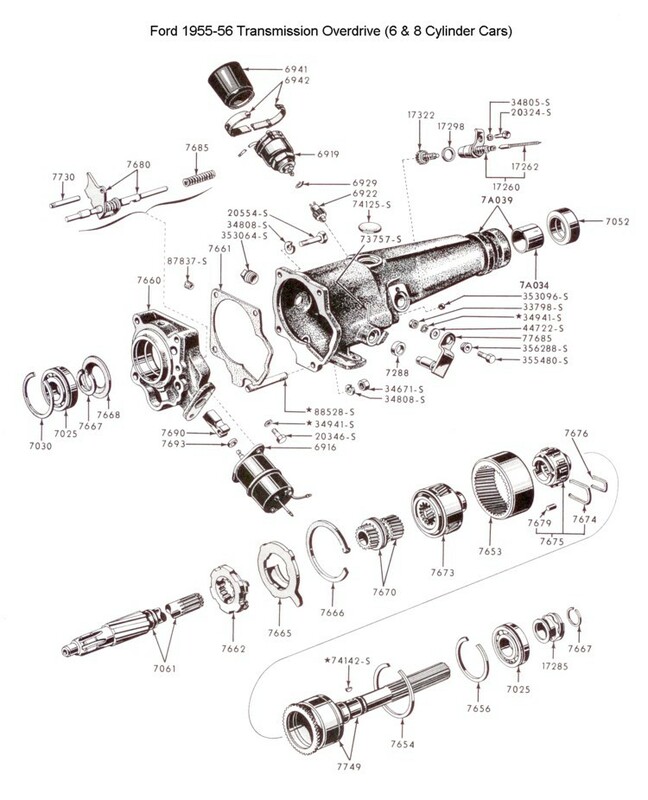 The exploded drawing you see may be labeled for a group of years, of which there may be variations from the actual drawing you are looking at. 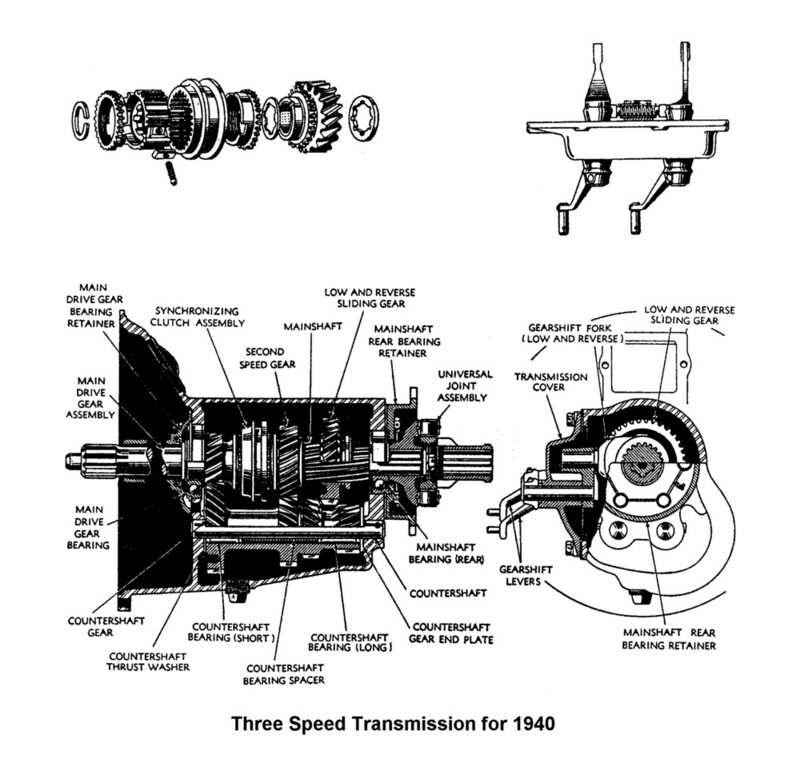 The reference to a "1939 transmission" is a catch-all phrase these days. 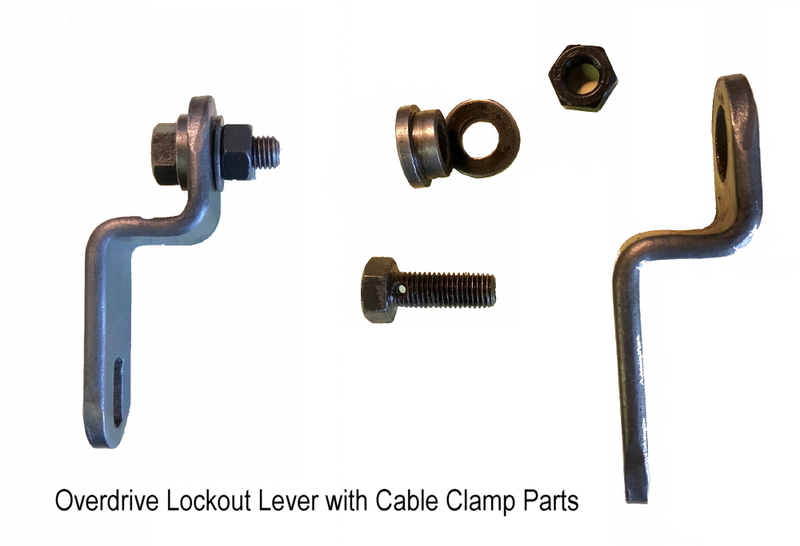 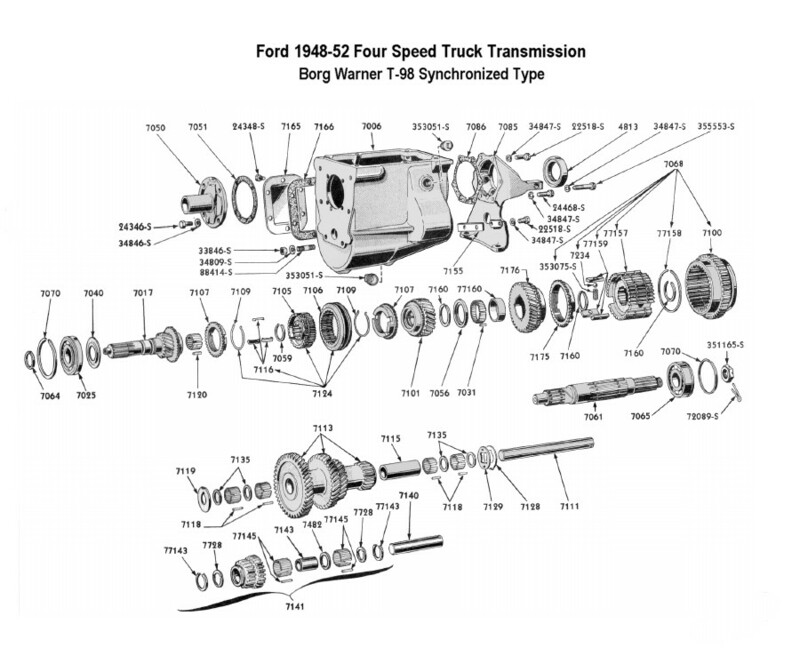 It initially refers to the last year of the top-load shifter style, but it also referred to the change over to an improved gear and synchronizer set. 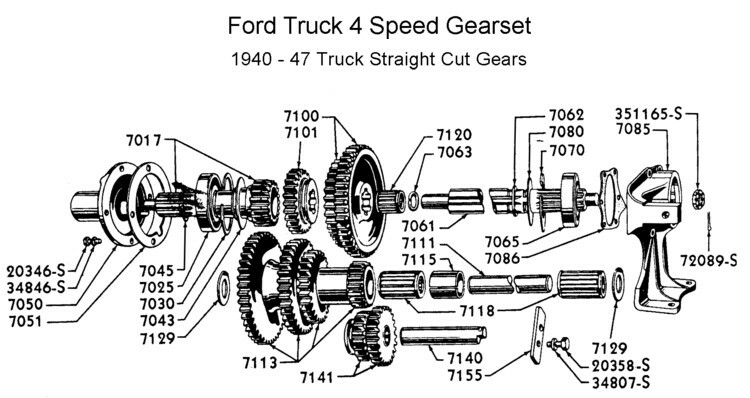 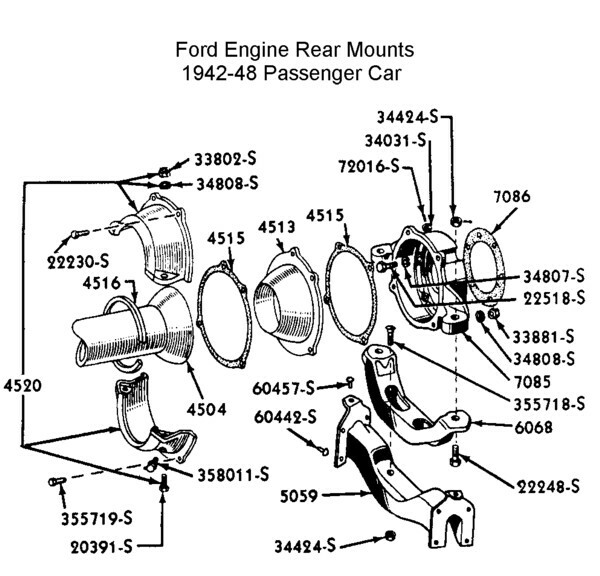 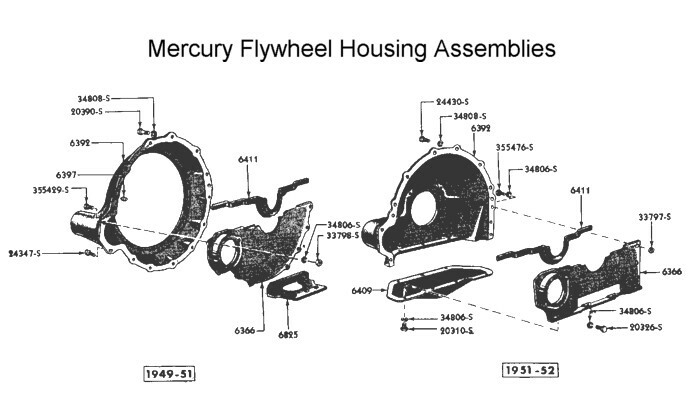 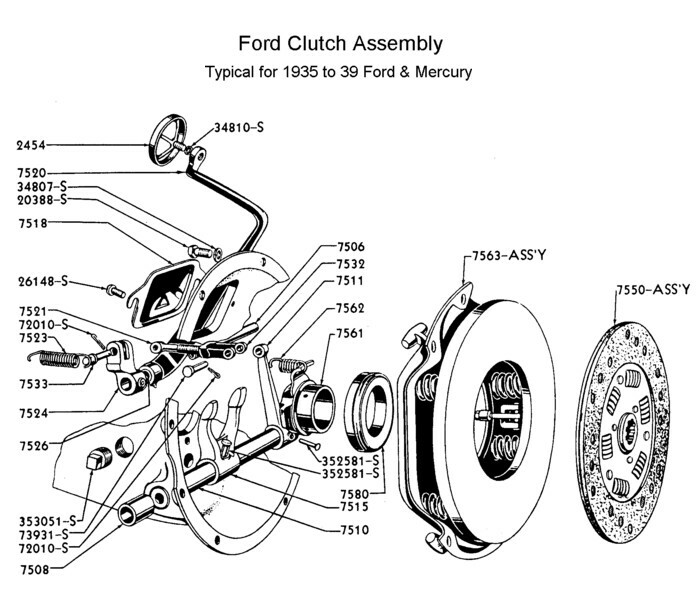 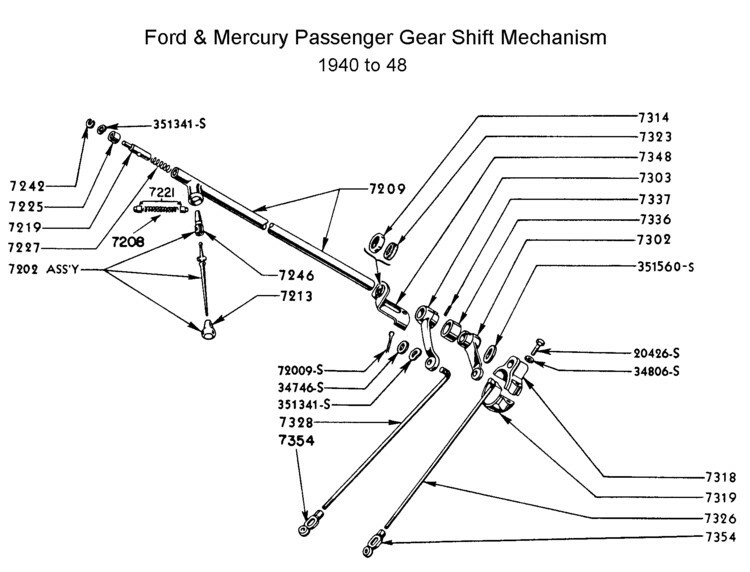 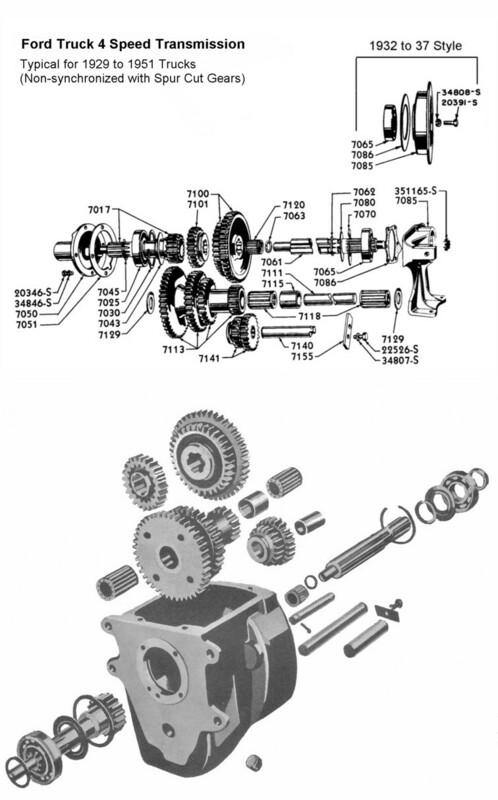 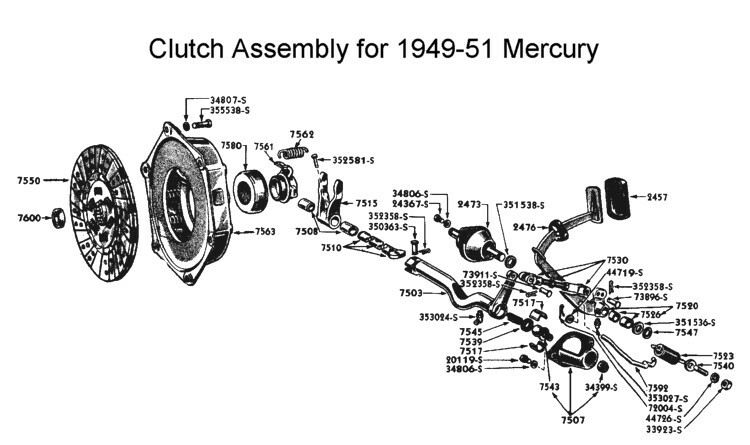 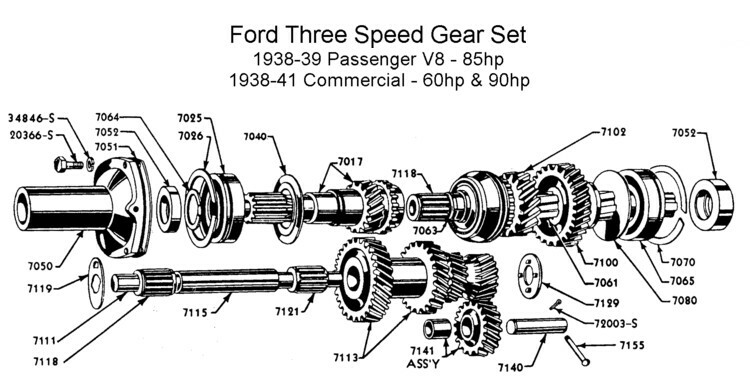 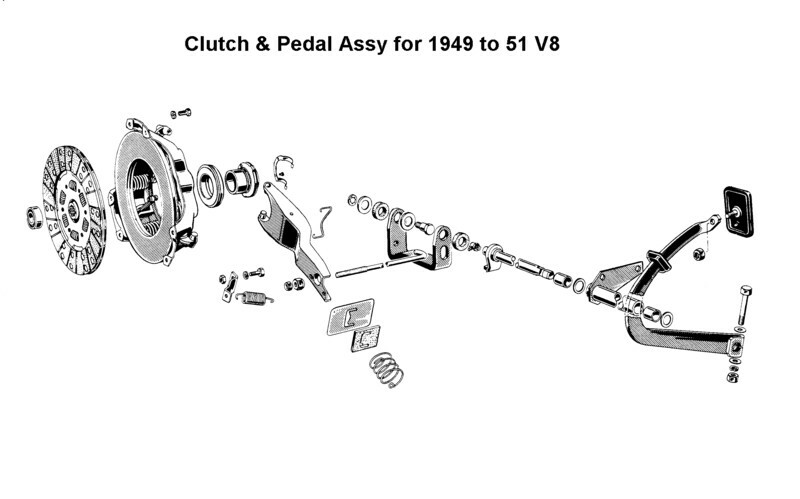 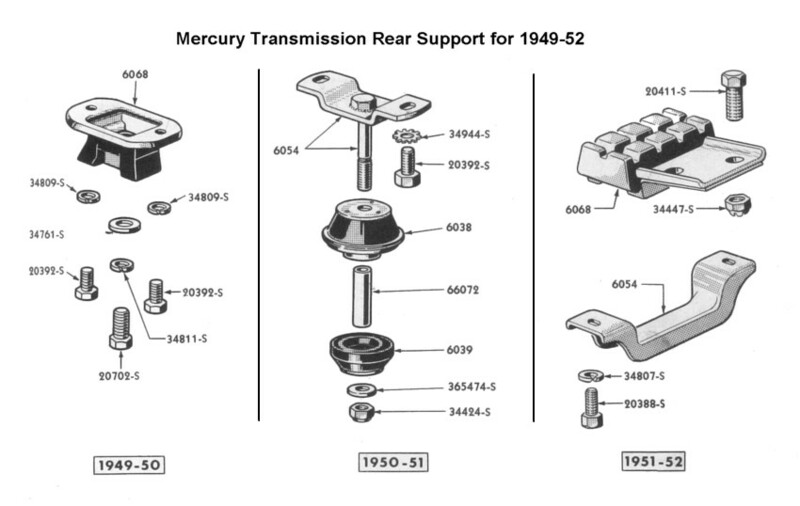 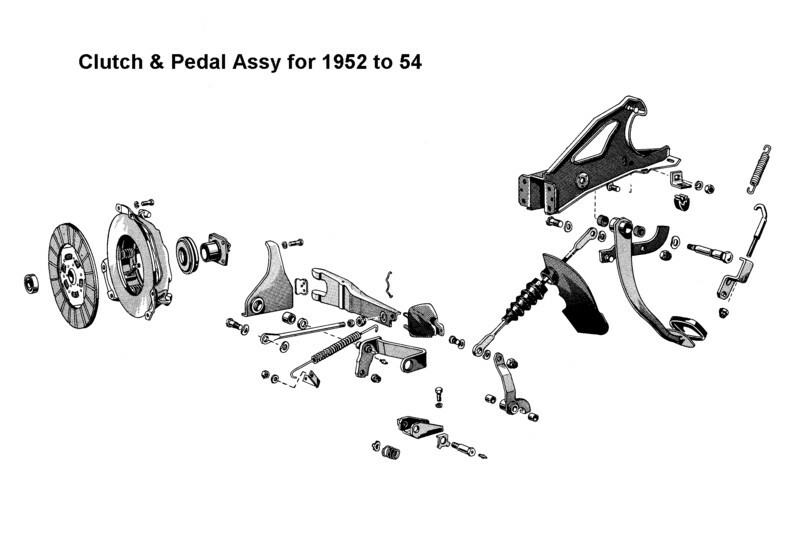 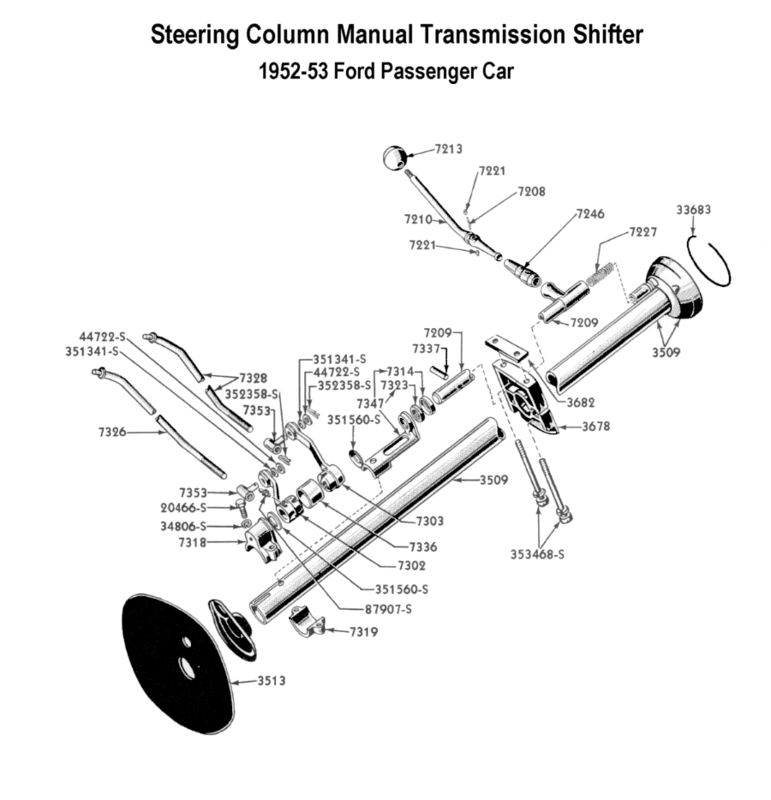 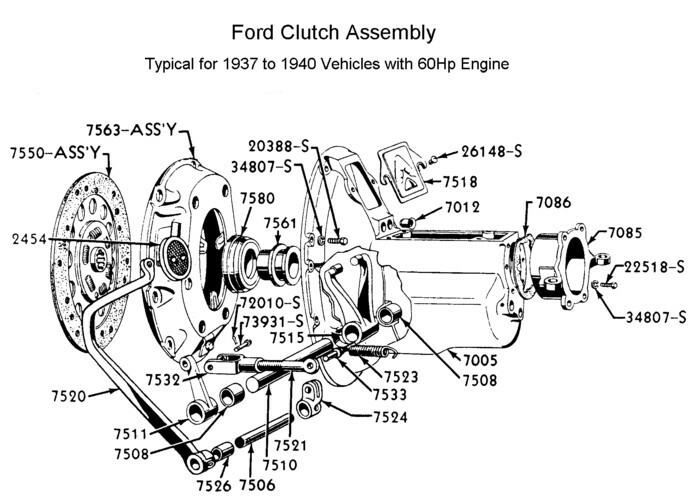 Ford started this process in 1939 but not all vehicles received the newer gear set until about 1941. 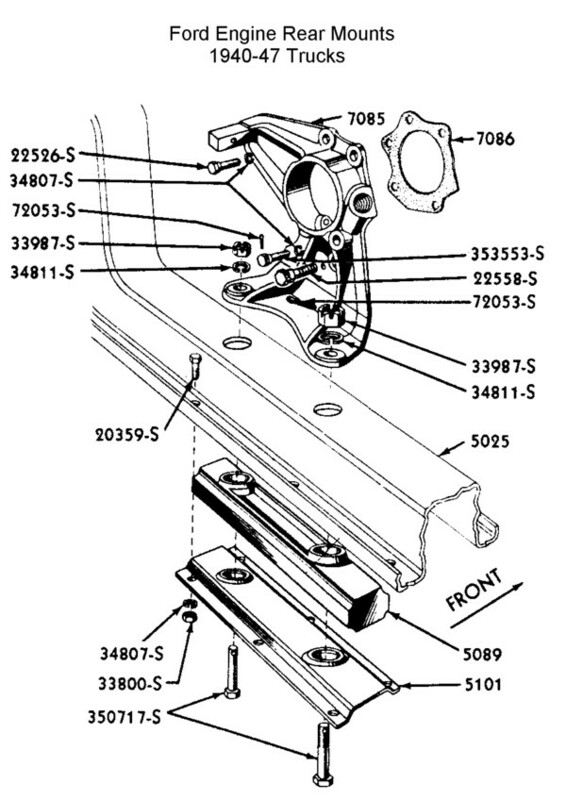 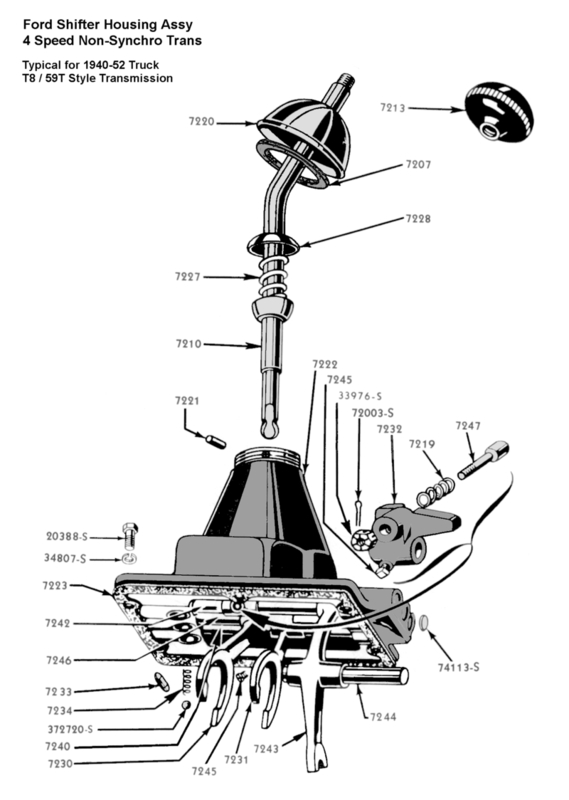 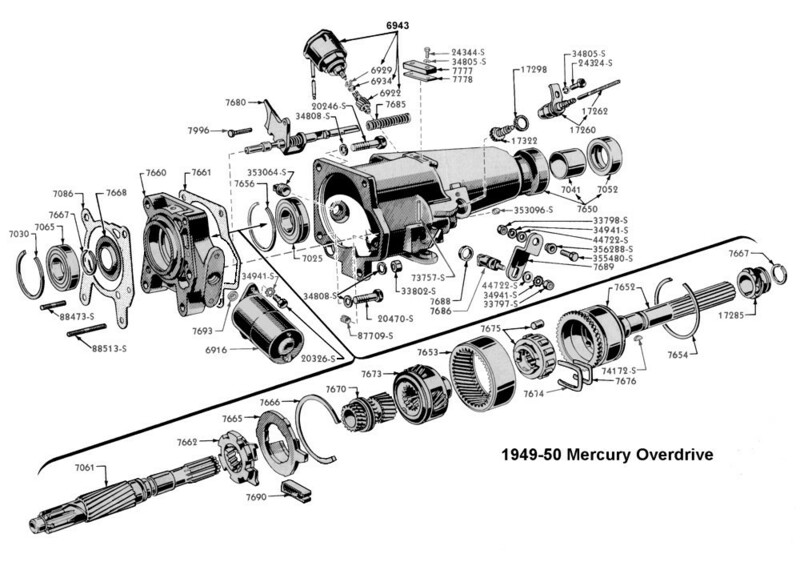 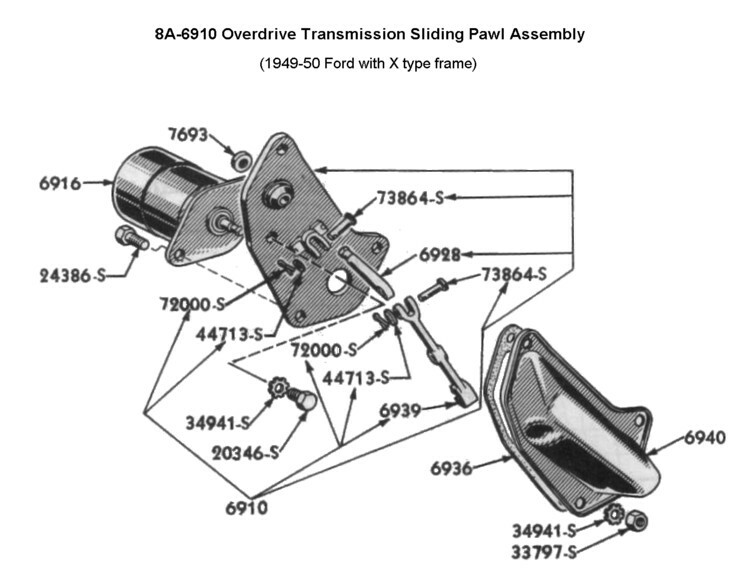 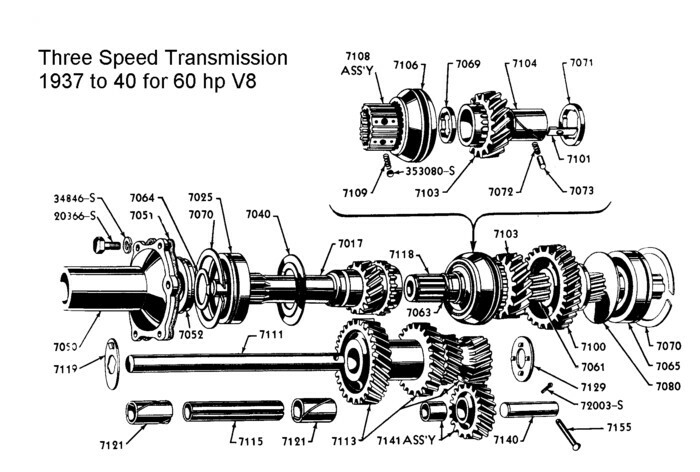 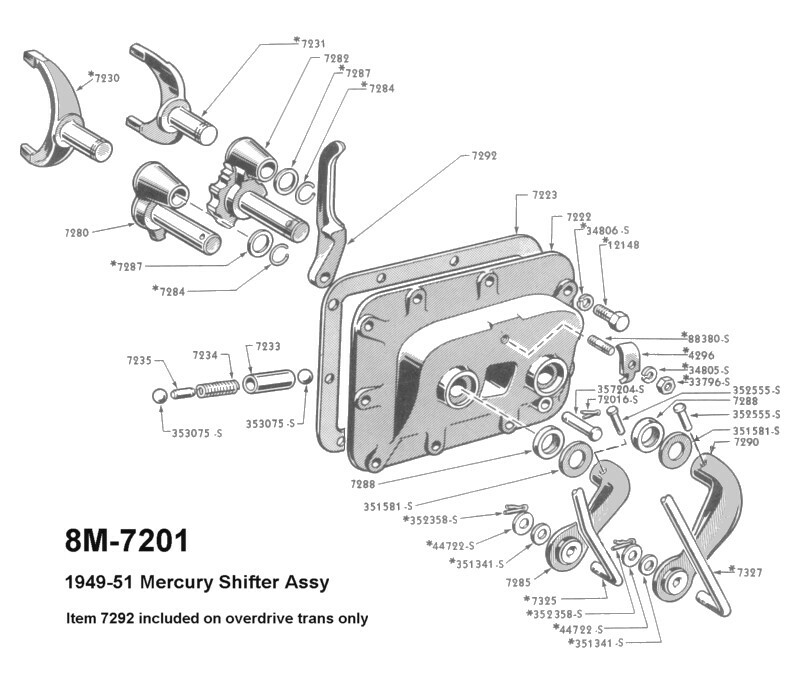 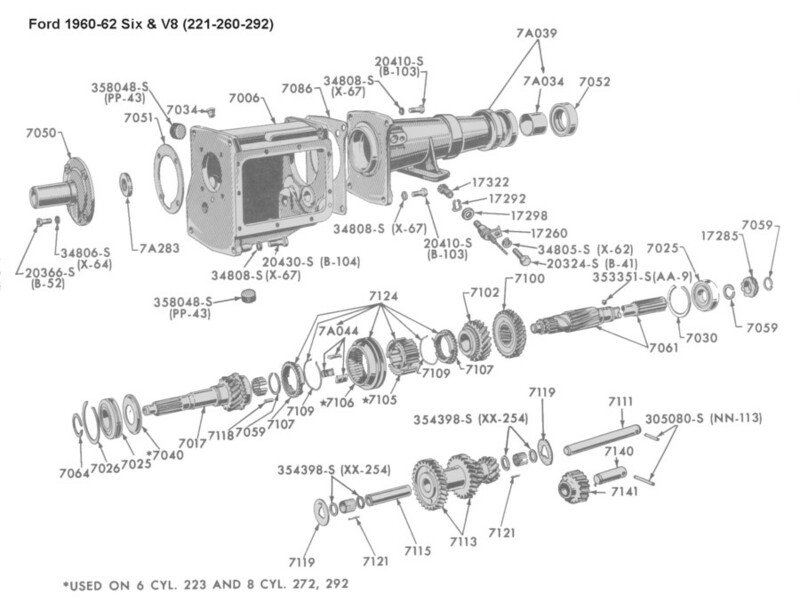 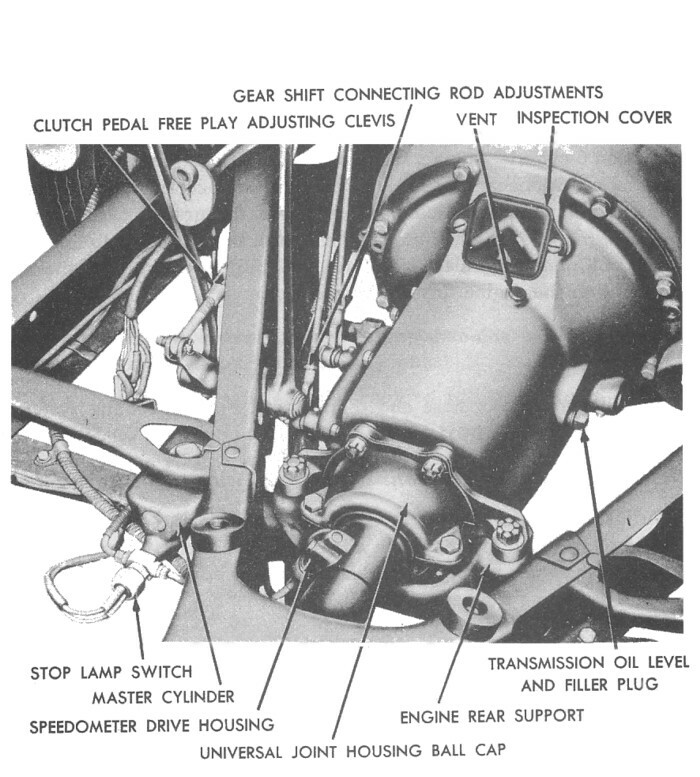 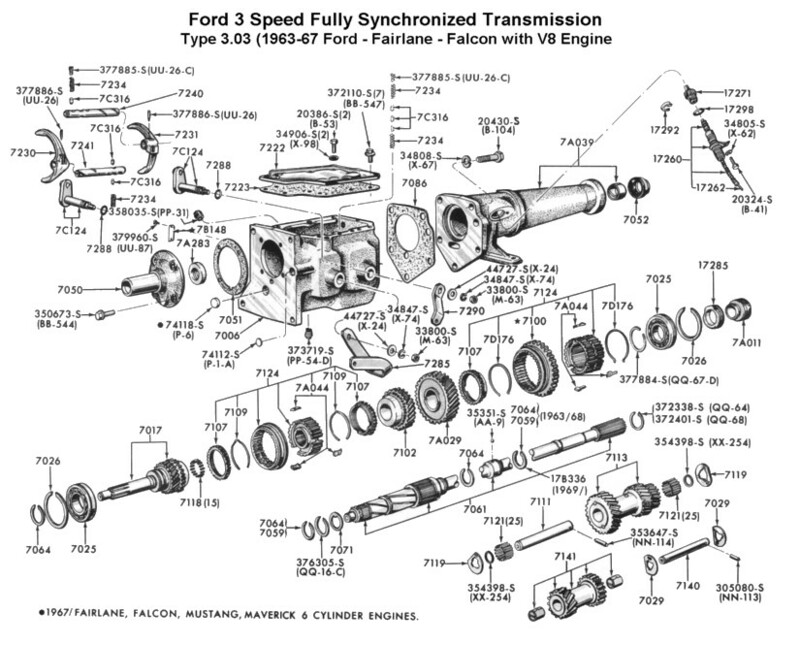 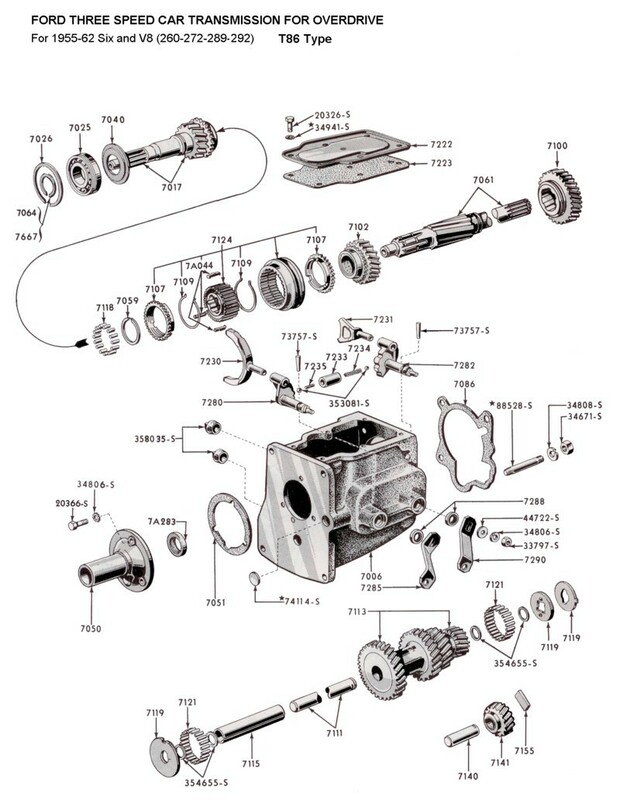 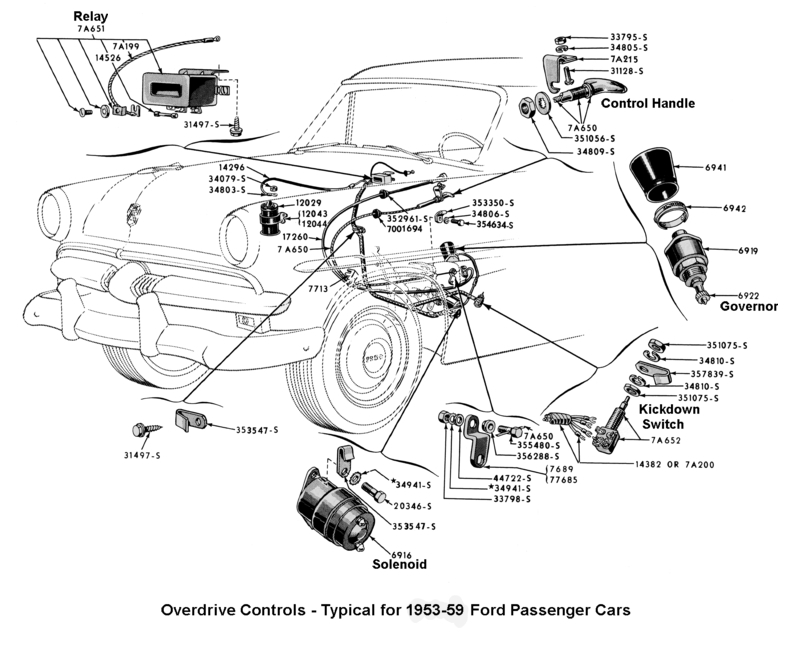 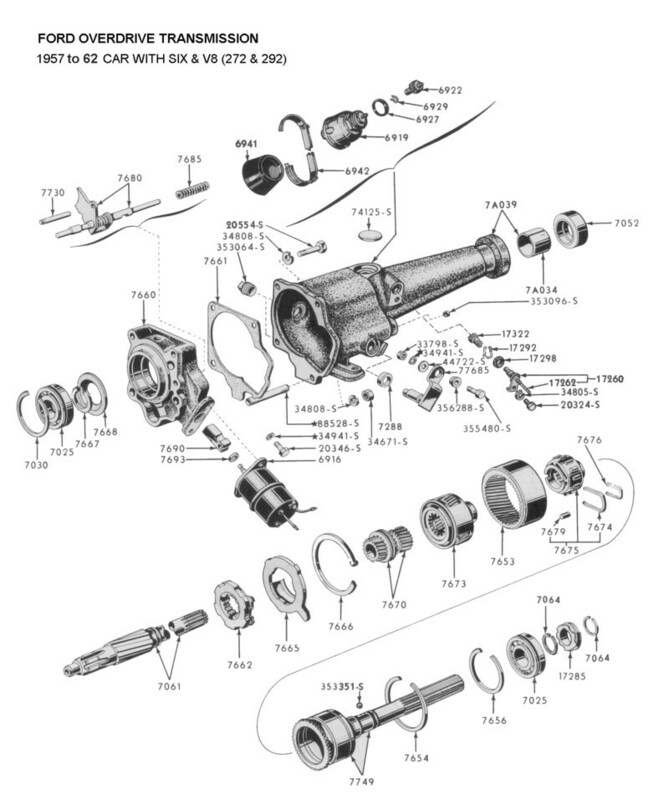 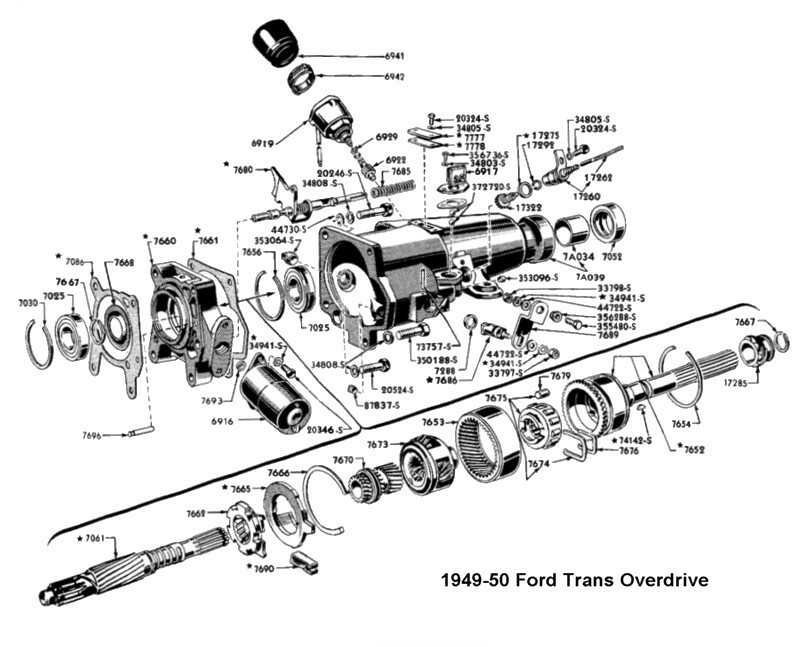 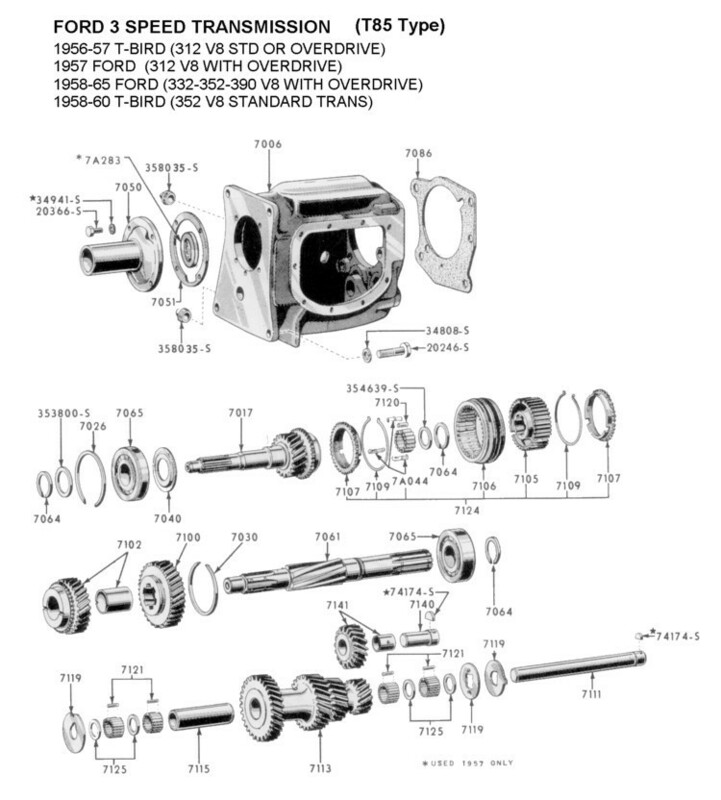 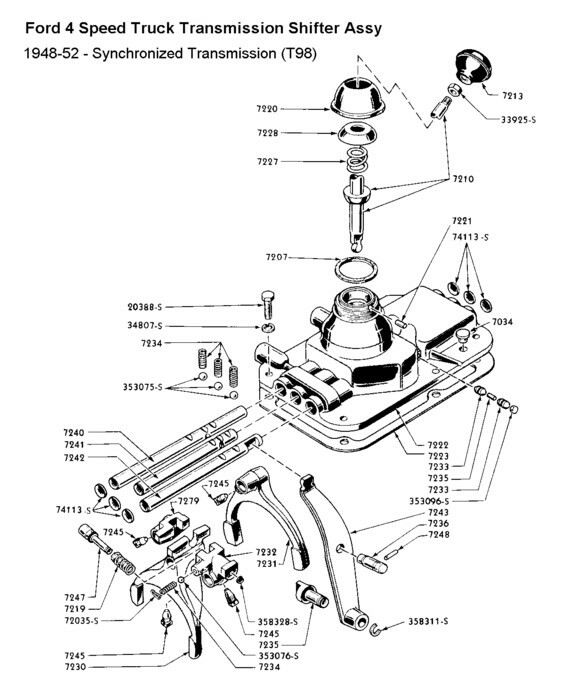 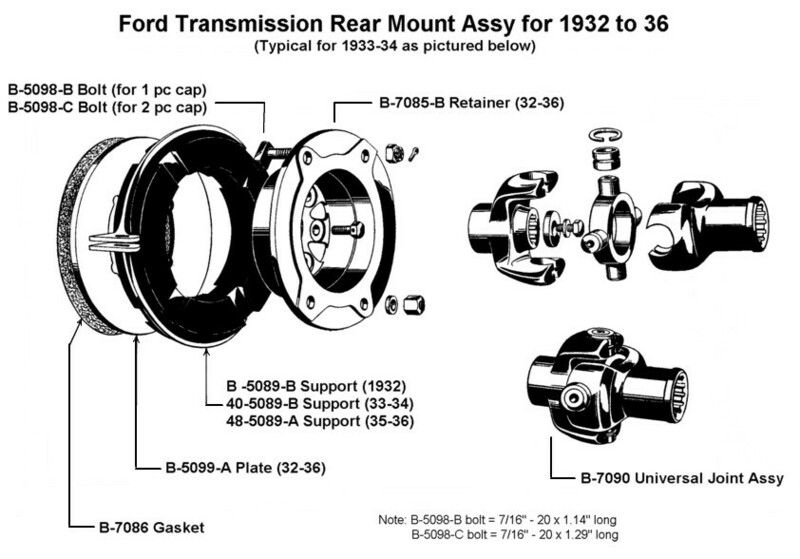 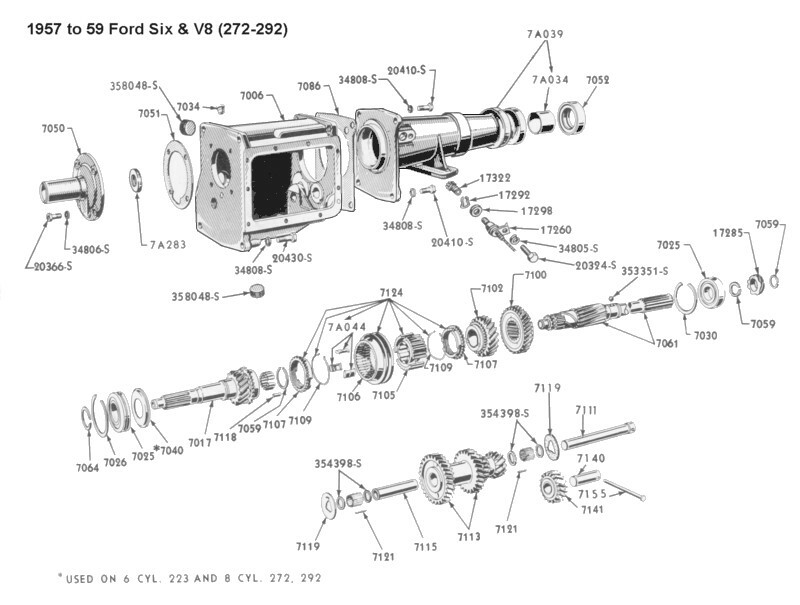 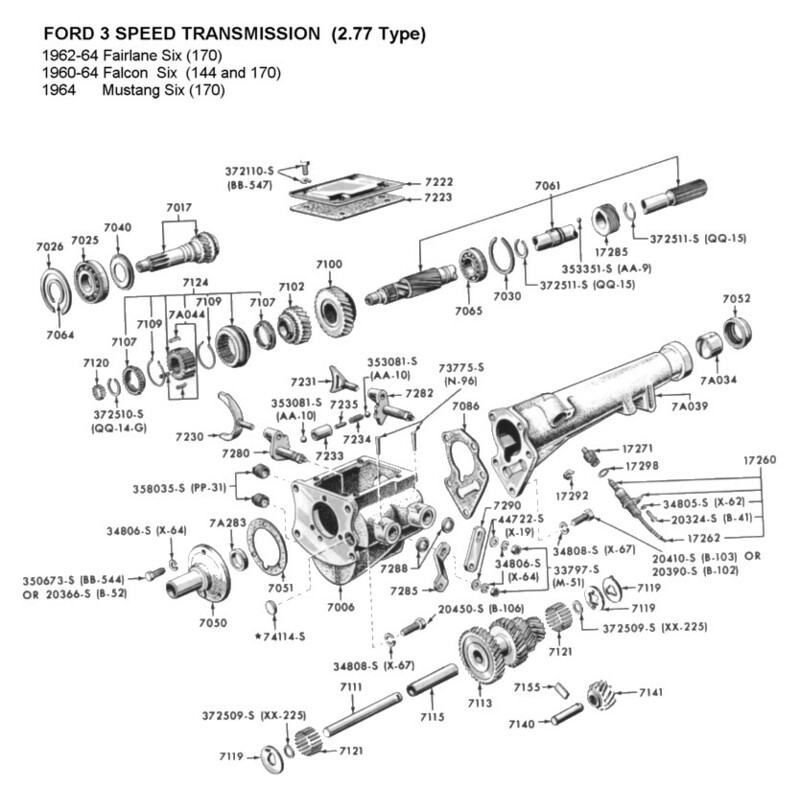 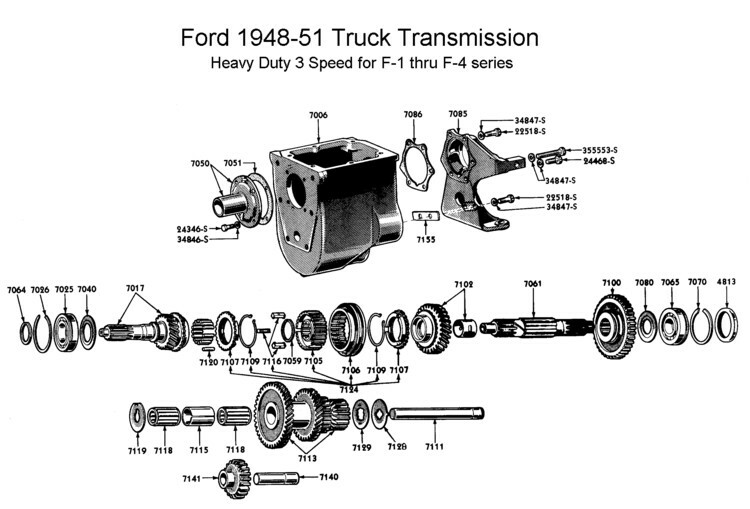 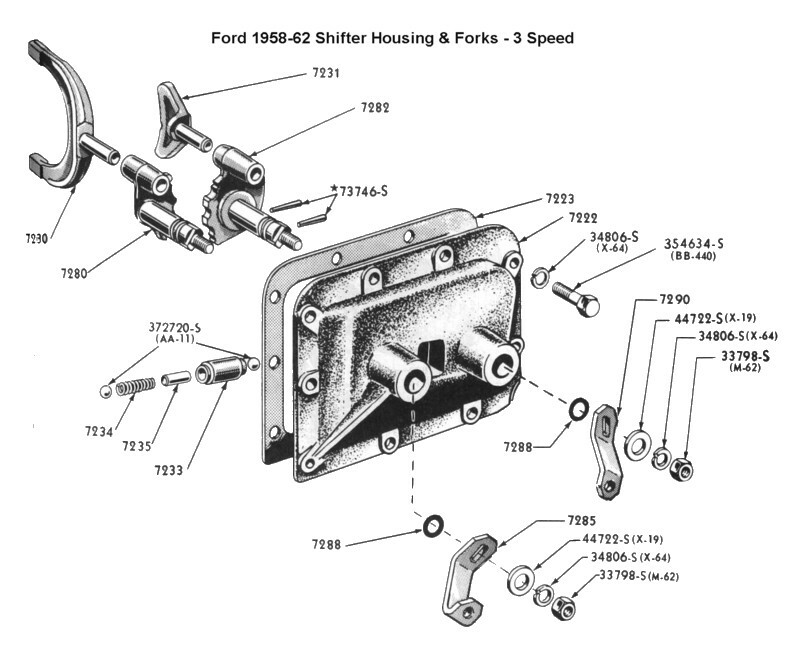 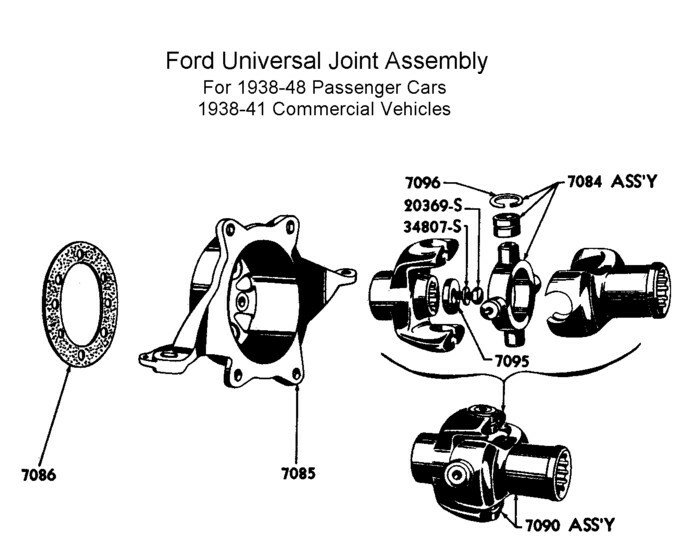 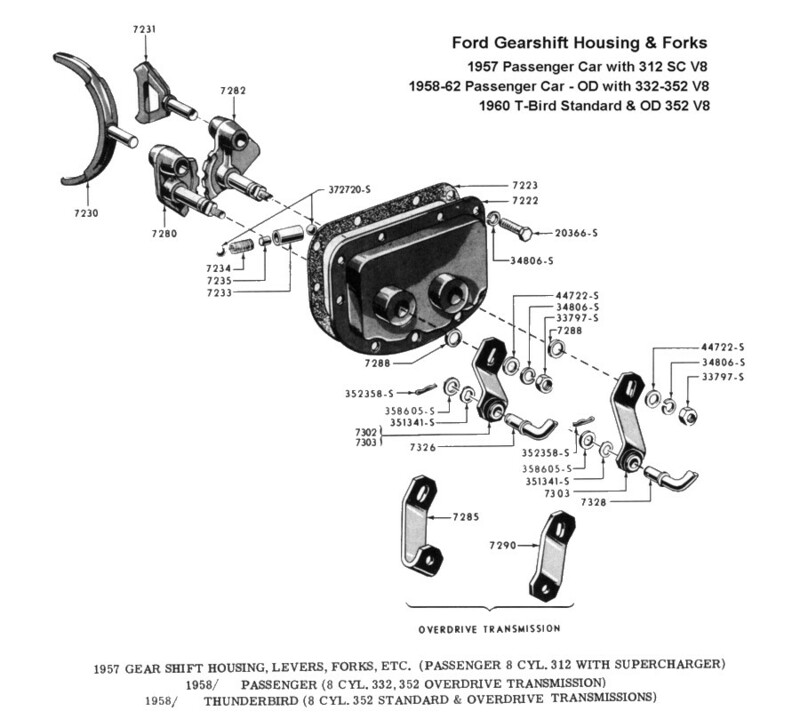 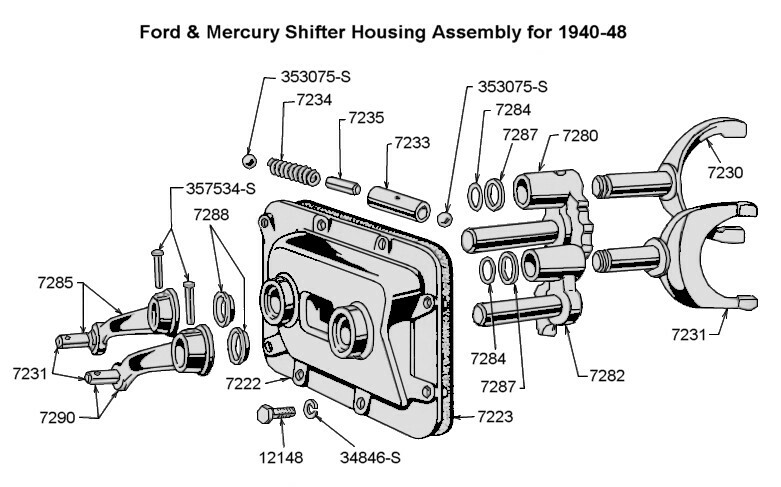 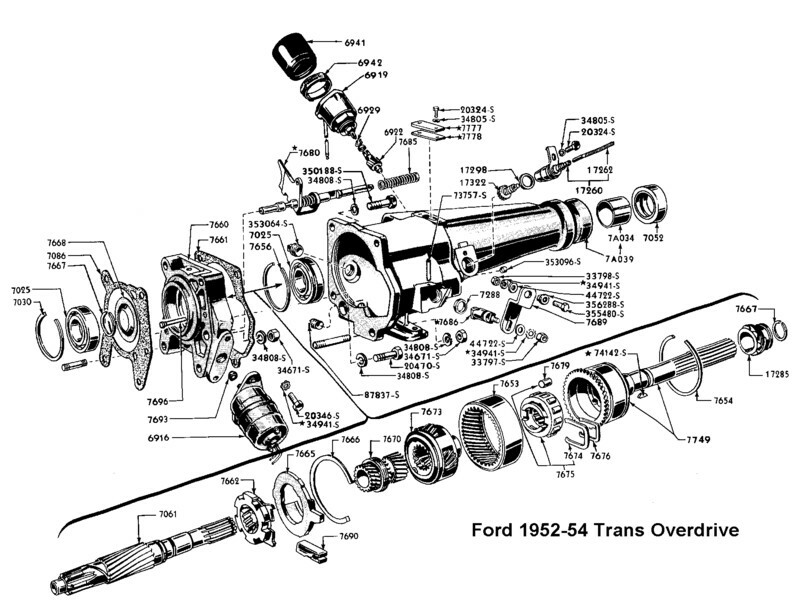 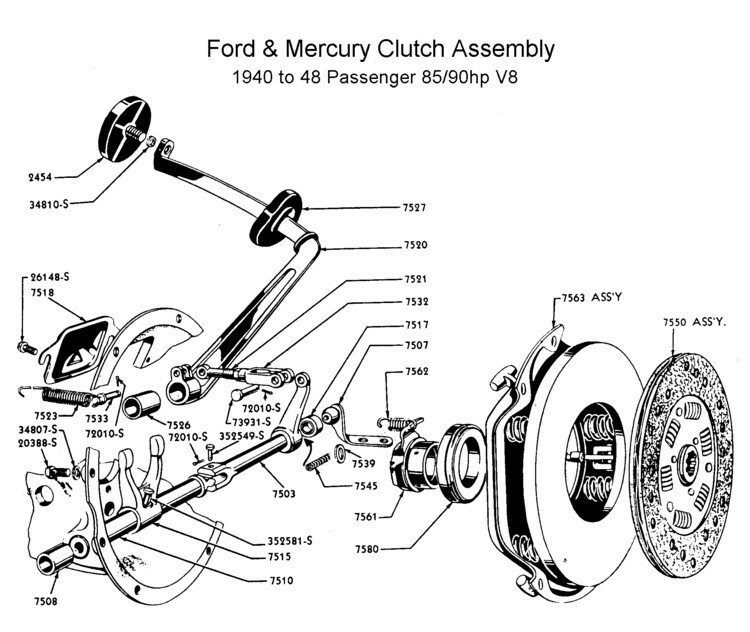 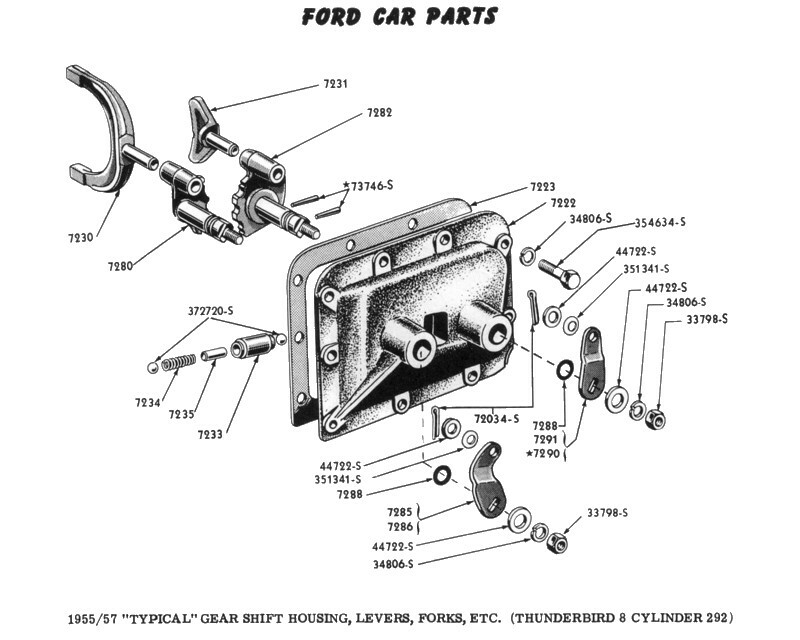 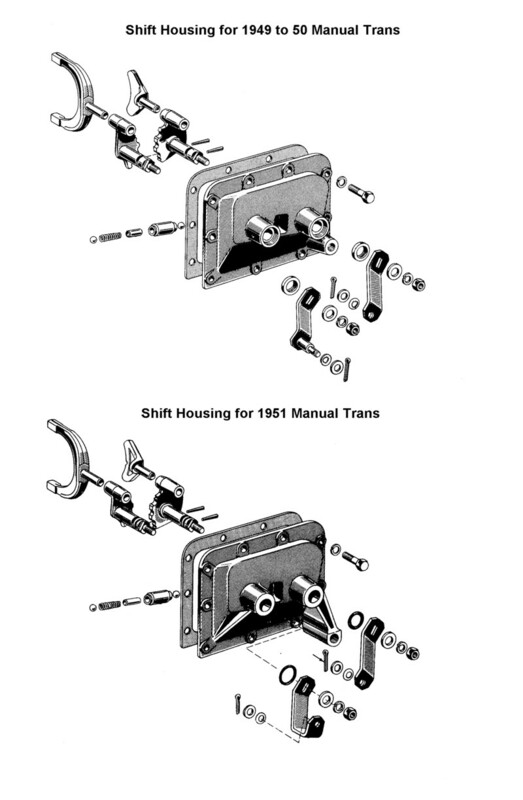 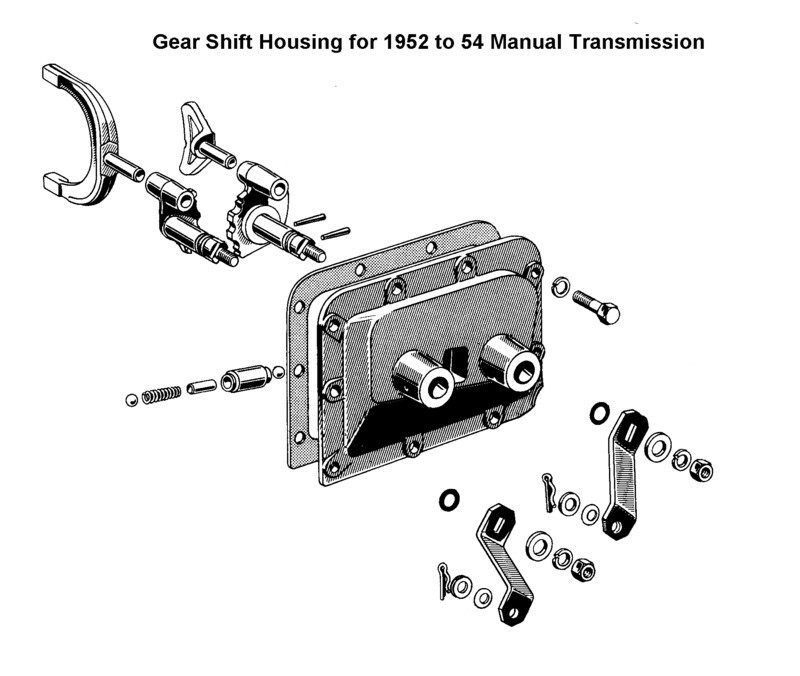 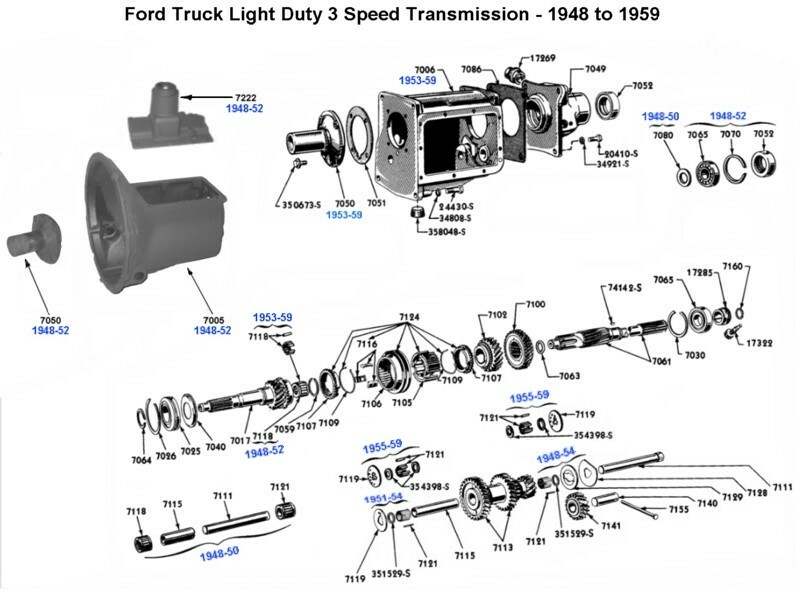 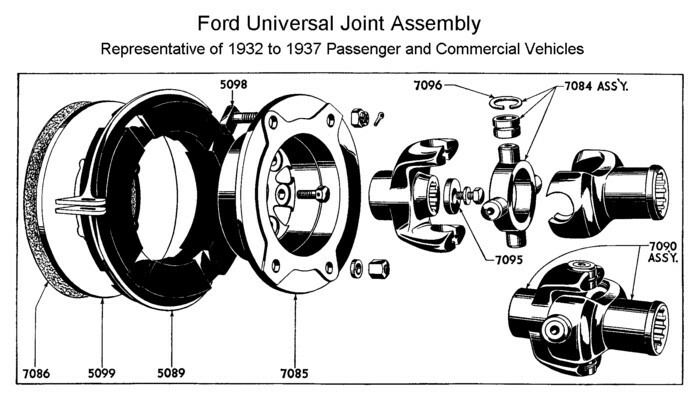 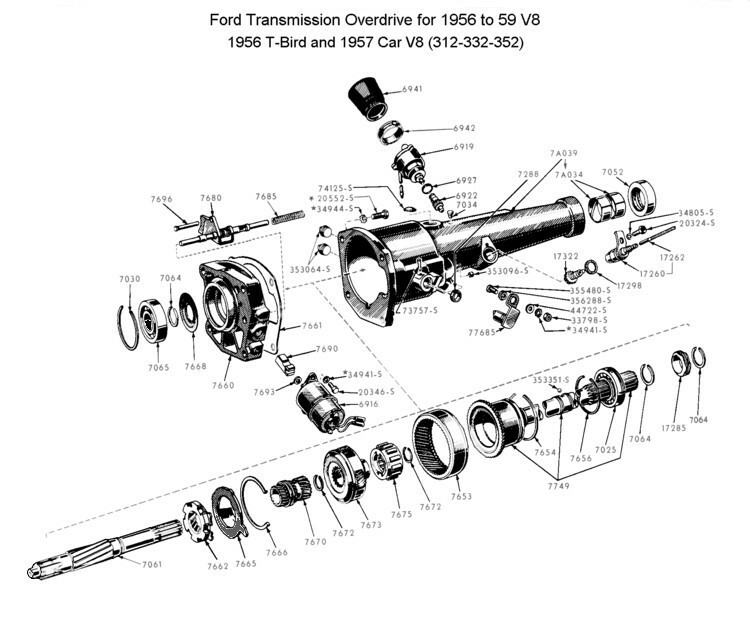 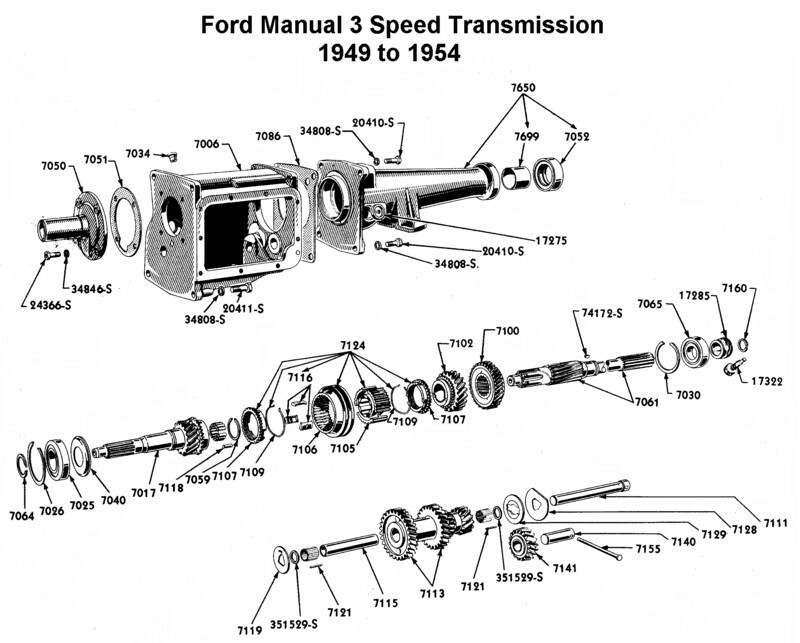 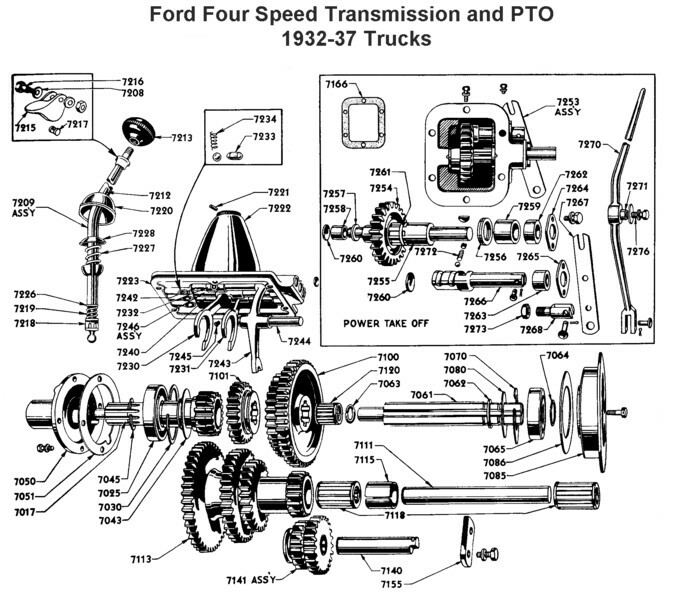 Furthermore, some of the actual parts used in the newer transmissions were never illustrated in any Ford parts books. 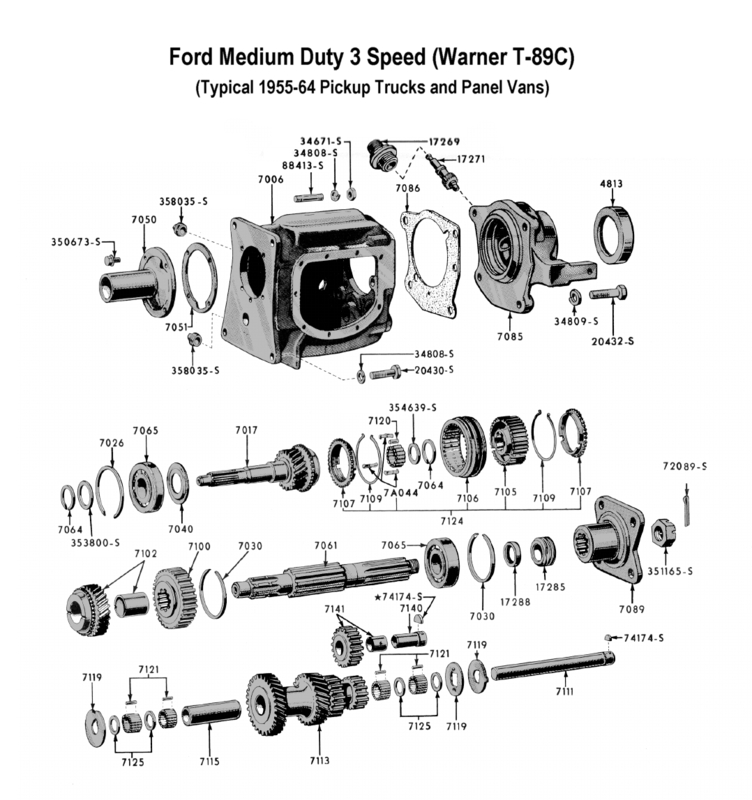 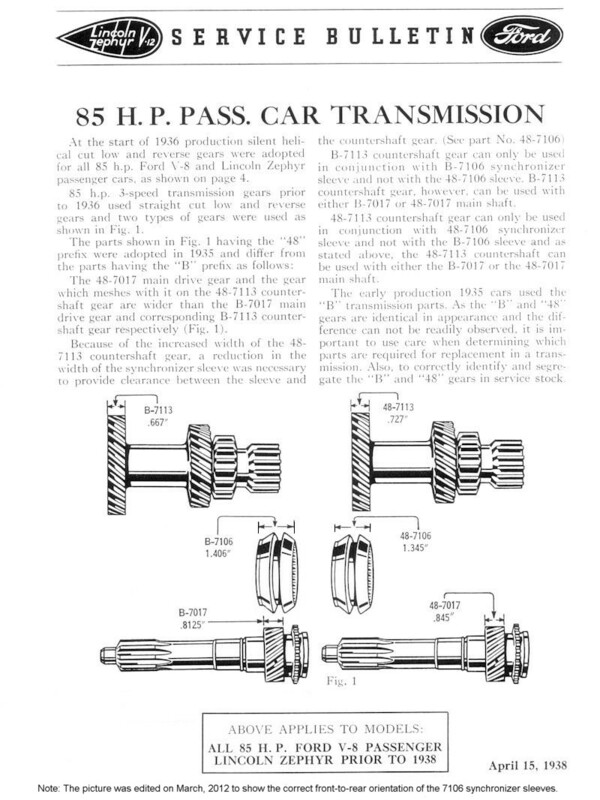 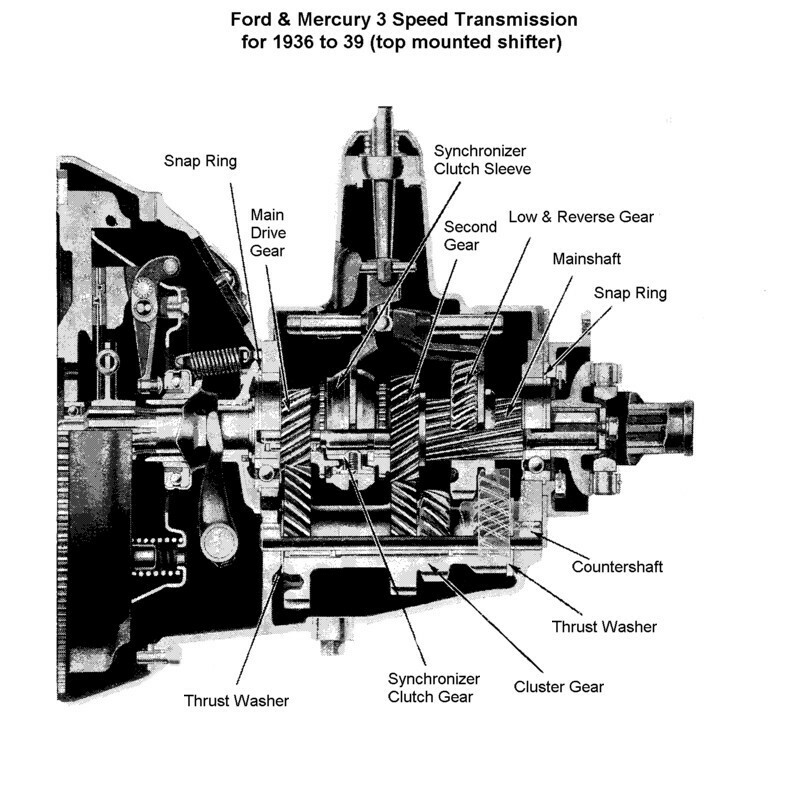 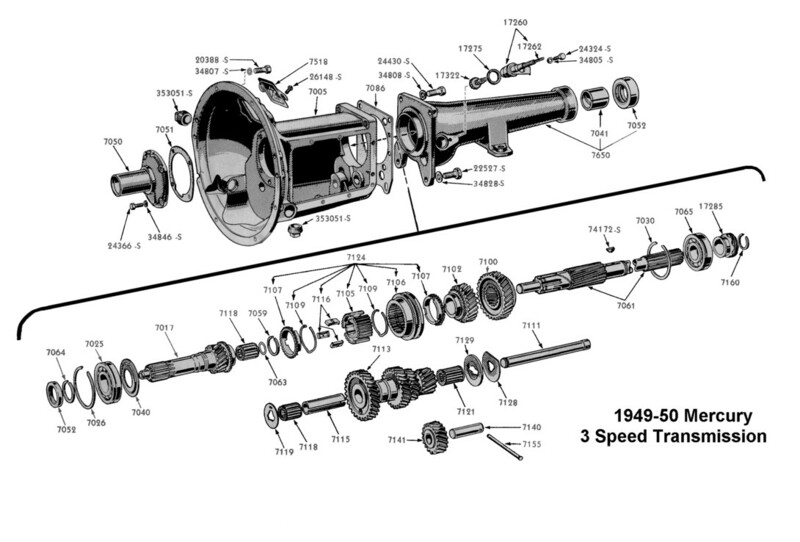 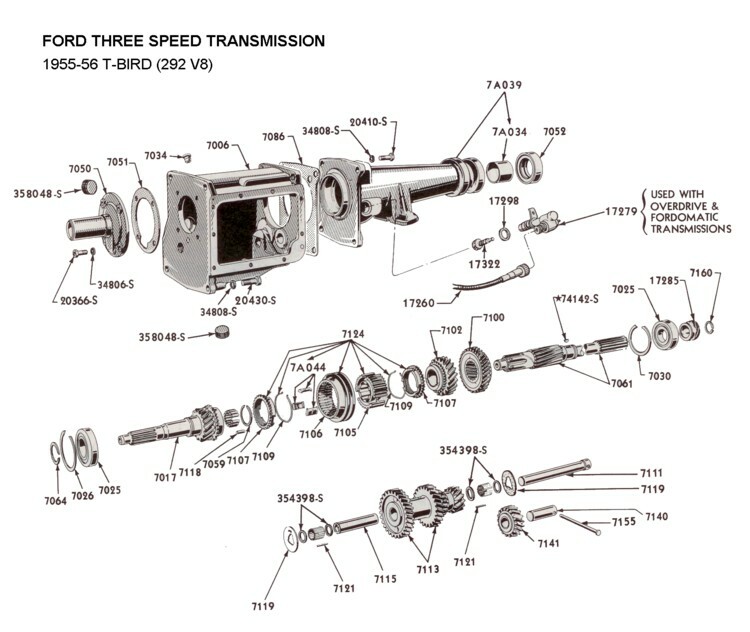 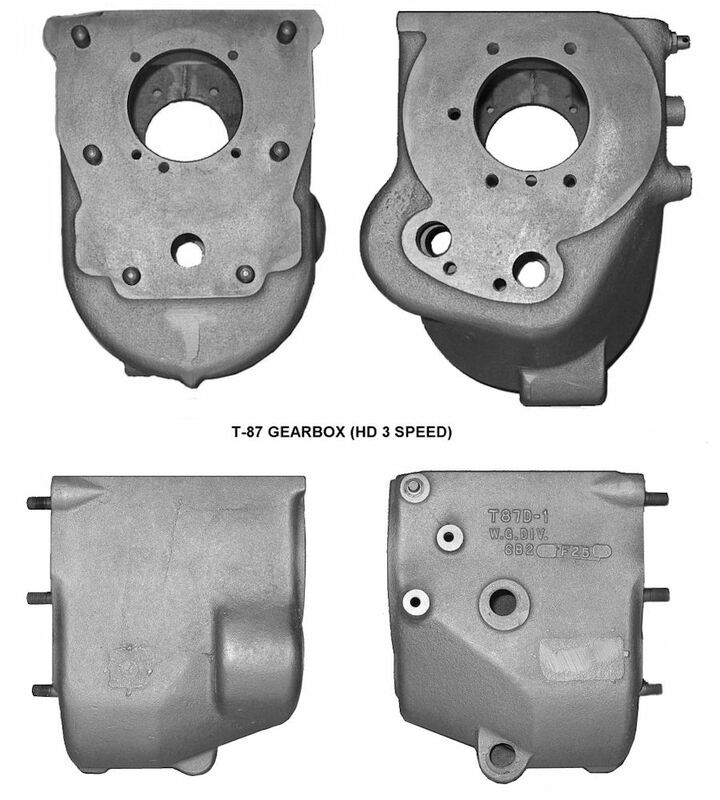 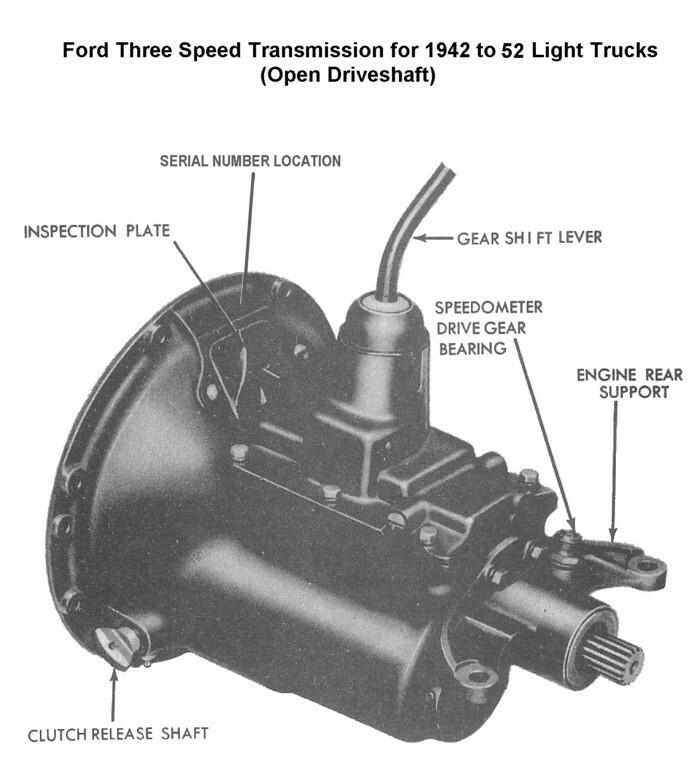 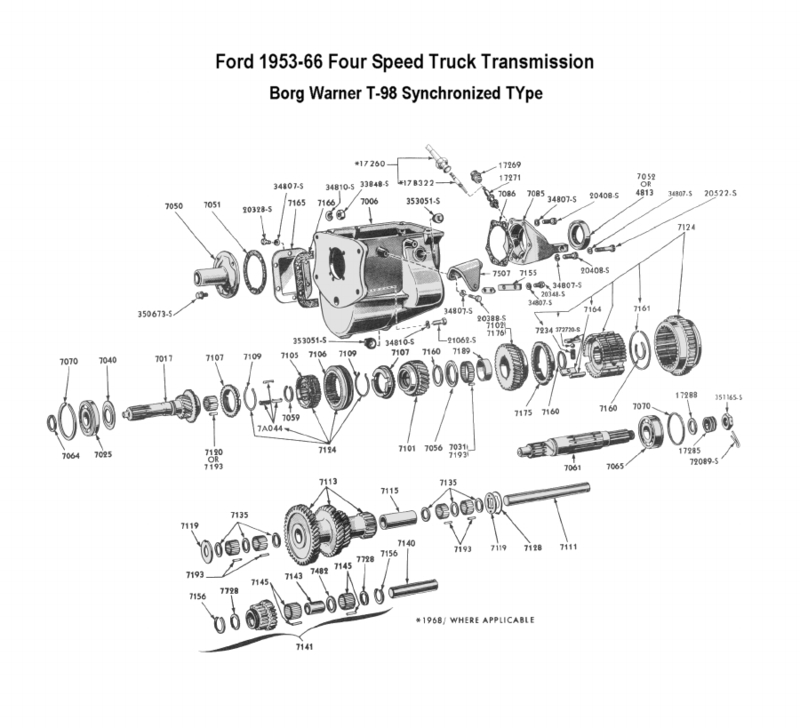 If you want to get the complete story on the early three speed transmissions, see the link below for the book, "The Ins and Outs of Early Ford Transmissions"
complete guide to identifying and repairing the early 3 speed trans.